My boss, Steve, likes steampunk. He also liked the display we used to have to monitor what was going on with our servers. 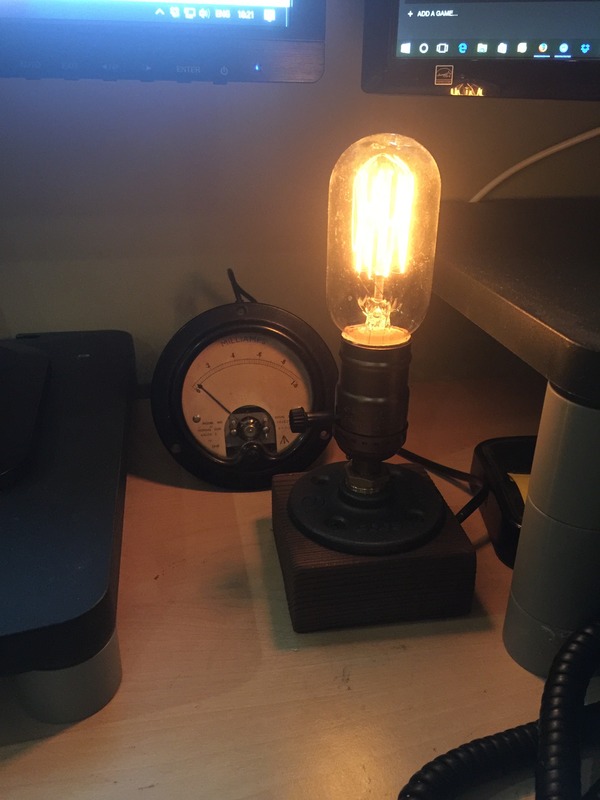 So, for Christmas I decided to make him an old-fashioned dial display that shows the current load on our servers. It uses the local WiFi to connect to AWS Lambda to get the current value of the relevant CloudWatch metric, in our case requests/minute to our main servers. The load meter on Steve's desk behind his lamp. Boxing day, so not much load. This is the meter, showing 3600 requests/minute to our main servers. The black cable provides power. Data is over wifi. 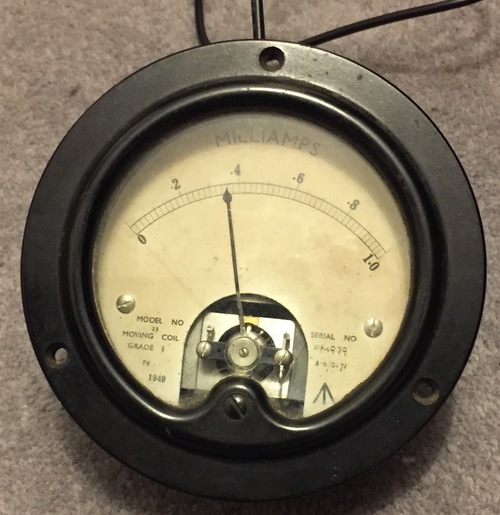 The display is an unmodified 1mA ammeter built in 1949. I got it from ElectroJumble. zig-zag is the aerial. The mess on the top of the left peg is masking tape. The brains is an ESP-8266EX in the form of a WEMOS D1 Mini. The WEMOS is powered using a USB cable (black cable from the bottom). The ground pin of the WEMOS is wired to the ground pin of the ammeter. The D0 pin of the WEMOS is wired to a variable potentiometer which is then wired to the positive pin of the ammeter. The code is in two parts. The voltage causes a current to flow through the variable resistor, which is then measured by the ammeter. 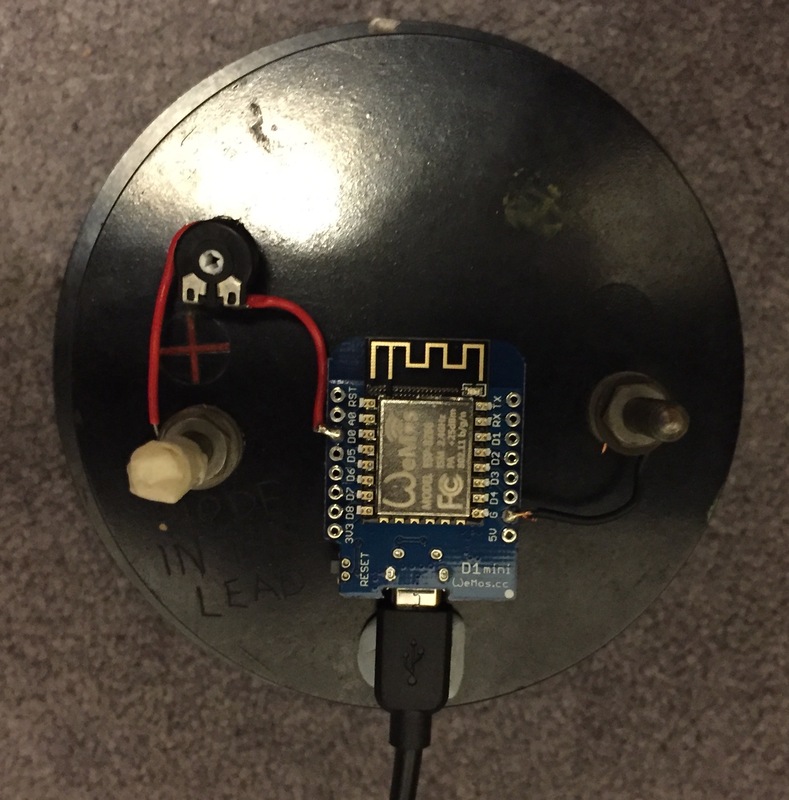 The ESP-8266 then sleeps for a minute, before repeating the process. Uses Amazon's API gateway, which provides an https url. When the ESP-8266 makes a GET request to that url, it is passed onto an AWS lambda function. The display is calibrated by adjusting the potentiometer. My code is available on github and reproduced below.